A video of this action is now available here. Dozens of Philippine human rights defenders held a “ritual of remembrance” outside the Lao embassy in Manila today to call for the safe return of highly acclaimed activist Sombath Somphone who was abducted six months ago. Clarissa Militante, of the group Focus on the Global South, said the Lao government should ensure Sombath is found and returned safely to his family. Some 100 activists from all over Asia, Europe, the United States and Australia sent “messages of hope and support” for today’s event, Militante said. People sending messages included Larry Lohman, author of the book Carbon Trading: A Critical Conversation on Climate Change, Privatization and Power and co-founder of the Durban Group for Climate Justice. Bangkok/Manila/Jakarta (15 May 2013) – The Asian Forum for Human Rights and Development (FORUM-ASIA), Focus on the Global South, The Asian Federation Against Involuntary Disappearances (AFAD) and the Commission for the Disappeared and Victims of Violence (KontraS) reiterated their call on the ASEAN Intergovernmental Commission on Human Rights (AICHR) and ASEAN governments to break the silence and take action on the disappearance of Laotian development worker, educator and Magsaysay award winner Sombath Somphone. The appeal was made as civil society organizations, respected world leaders and the diplomatic community, friends and family marked the fifth month of Sombath Somphone’s disappearance today. 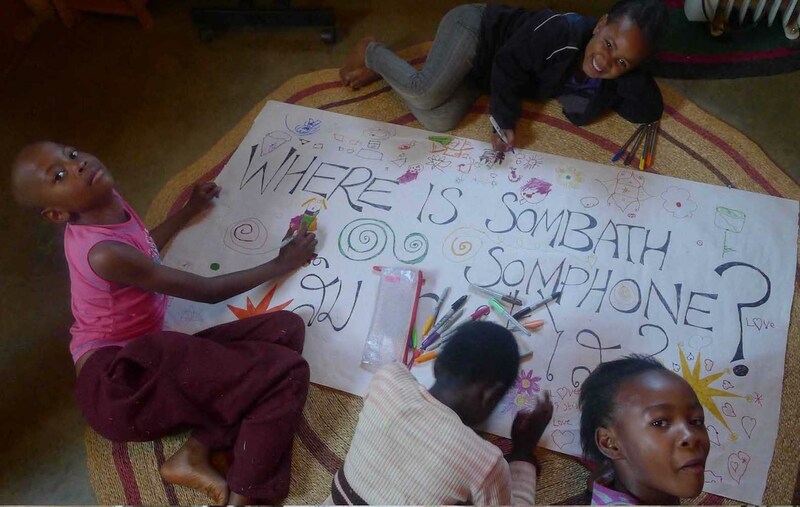 Despite the recent conclusion of the 22nd ASEAN Summit (25-26 April) and the 12th AICHR Meeting (6-10 May), no concrete headway has been made in addressing or tackling Sombath’s disappearance and human rights abuses in the region. During the 12th AICHR Meeting, the regional human rights body reportedly discussed the implementation of the recently-adopted ASEAN Human Rights Declaration (AHRD), but fell short of taking a position on Sombath’s case, as well as the issue of enforced disappearances in the region. This was despite a recent open letter by the Solidarity for Asian People’s Advocacy – Task Force on ASEAN and Human Rights (SAPA TFAHR), among the many calls from numerous groups and individuals, urging the regional body to do so. Please watch this powerful performance of Nasaan Si Sombath? (Where is Sombath?). The song is Awit Ng Naghahanap (Song of Searching) by Noel Cabangon. The interpretive dance by SAD. On April 24 and 25, these ASEAN leaders will gather in Brunei under the theme of “Our People, Our Future Together.” But how can we invest our future in an ASEAN where peoples’ basic rights are continuously ignored and violated, a community where people are abducted and forced to disappear? We cannot be part of this. If ASEAN wants us to be part of this community then they should put the interests of the people above everything else. They should respect and uphold basic human rights. The entire statement can be read here. A related letter from the Asian Federation Against Involuntary Disappearances to the Philippine Department of Foreign Affairs can be read here. A video of the event can be seen here. The event was organized by Focus on the Global South, Asian Federation Against Involuntary Disappearances (AFAD), and Families of Victims of Involuntary Disappearances (FIND). Those who assert there is little civil society in the Lao PDR (Laos) have apparently never attended a celebration or festival in the country. Nor have they given due consideration to the staggering diversity of ethnicity and cultures, and the myriad and dynamic ways Lao communities have for centuries dealt with food shortages, natural disasters, and management and sharing of natural resources. Inside Laos, the current elite also seems to have forgotten that it was this same ability to organise and cope in the face of diverse, changing conditions that fed and sheltered the revolutionary struggle. But if one were to put a face to those aspects of Lao civil society more recognized at the national and international levels, it would be that of Sombath Somphone. Sombath grew up in rural Laos as the eldest child of a farming family. Passion, determination and a keen intellect led him through education at local, national and international institutions to obtain a BA in Education and an MA in Agriculture. While thousands of others were still fleeing Laos after the country gained independence in 1975, Sombath returned to work with the new government and his compatriots. Over the next three decades Sombath worked with remarkable persistence and humility to promote sustainable agriculture, participatory development and learner-centred education. In 2005, he received the prestigious Ramon Magsaysay Award for Community Leadership for “…his hopeful efforts to promote sustainable development in Laos by training and motivating its young people to become a generation of leaders.” Sombath is one of only two Lao citizens to receive this award, often called Asia’s Nobel Prize, in its 55-year history. A practicing Buddhist, Sombath advocates a holistic approach to living, guided by respect for nature, compassion and honesty.